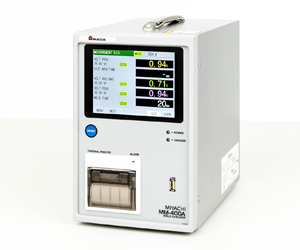 Amada Miyachi America, Inc., a leading manufacturer of resistance welding, laser welding, marking, cutting, and micromachining equipment and systems, announces the new MM-400A desktop resistance weld checker. With the MM-400A, operators can easily monitor and manage key welding variables that result in changes in weld heat, including current, voltage, time, force and displacement. The compact unit supports AC, DC inverter, AC inverter, transistor and capacitive discharge resistance welding technologies. Since 1948, Amada Miyachi America, Inc. has worked to achieve one goal: to solve customer’s manufacturing challenges. Knowing there is no one solution that fits all, the company strives to provide customers with innovative and reliable manufacturing technology solutions in an effort to be their single source provider. Amada Miyachi America manufactures equipment and systems for resistance welding, laser welding, laser marking, laser cutting, hermetic sealing and hot bar reflow soldering and bonding. The company serves a wide range of markets including medical devices, battery, aerospace, automotive and electronic components. Amada Miyachi America is an ISO9001 certified company.